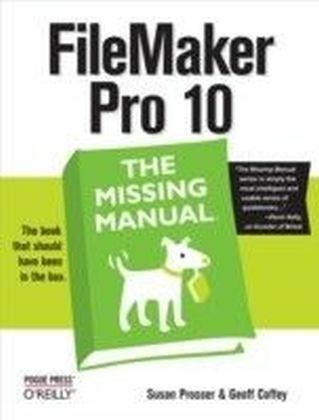 FileMaker Pro 9: The Missing Manual is the clear, thorough and accessible guide to the latest version of this popular desktop database program. FileMaker Pro lets you do almost anything with the information you give it. You can print corporate reports, plan your retirement, or run a small country -- if you know what you're doing. This book helps non-technical folks like you get in, get your database built, and get the results you need. Pronto.The new edition gives novices and experienced users the scoop on versions 8.5 and 9. It offers complete coverage of timesaving new features such as the Quick Start screen that lets you open or a create a database in a snap, the handy ",save to", buttons for making Excel documents or PDFs, the multiple level Undo and Redo commands let you step backwards through your typing tasks, and much more. 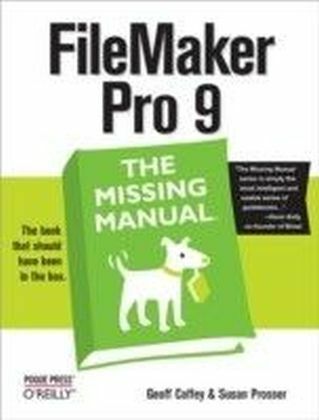 With FileMaker Pro 9: The Missing Manual, you can:Get your first database running in minutes and perform basic tasks right away.Catalog people, processes and things with streamlined data entry and sorting tools.Learn to use layout tools to organize the appearance of your database.Use your data to generate reports, correspondence and other documents with ease.Create, connect, and manage multiple tables and set up complex relationships that show you just the data you need.Crunch numbers, search text, or pin down dates and times with dozens of built-in formulas.Automate repetitive tasks with FileMaker Pro 9's easy-to-learn scripting language.Protect your database with passwords and set up privileges to determine what others can do once they gain entry.Outfit your database for the Web and import and export data to other formats.Each chapter in the book contains ",living examples", -- downloadable tutorials that help you learn how to build a database by actually doing it. You also get plenty of sound, objective advice that lets you know which features are really useful, and which ones you'll barely touch. 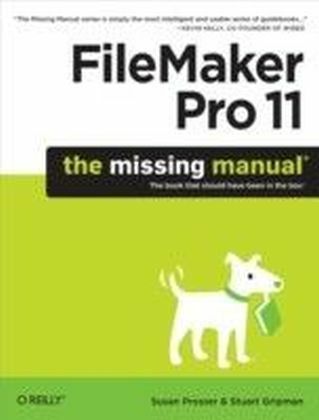 To make the most of FileMaker Pro 9, you need the book that should have been in the box.